Nawab Wazeer Khan name is synonymous with Lahore. His history so diverse, without any research on him. Rise and fall unremembered. His name is taken as Aleem uddin but manuscripts of his life time, write of him as Ali uddin. We all know he came from Chinoit, and that he was a Hakeem. Not only a hakeem to royalty, but also an astrologer. Expert in horoscopes etc. Phenomenal rise is attached to his treatment of an ulcer on Nur Jahan’s breast, as mythology records same. 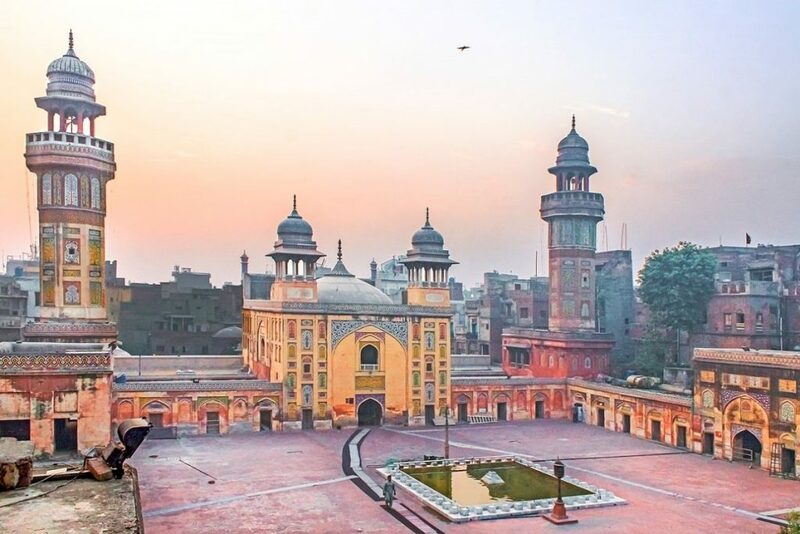 But few know that he was a highly corrupt man, and one historian of his period records that without his commission, not a single business transaction could take place in Lahore. A real ancestor of our politicians. Once he was caught in an issue of moral turpitude and dismissed by Shah Jahan, as history records it. He died in Agra when he fell from his horse back. Buried probably in his garden in Agra but also possible that he was buried in his Garden’s baradari in Lahore, now the Punjab Public library. A local historian himself told me that he saw the grave of Wazeer Khan and his wife Zubeida in the basement of the baradari, and it exists to this day, hidden from public view. Many details can be found in my book LEGACY OF NAWAB WAZEER KHAN. But this not the point of this writing. 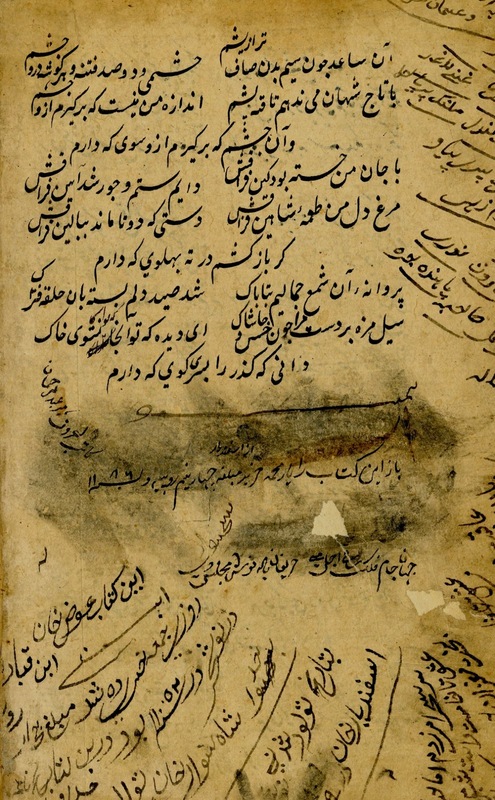 A manuscript dealer in Lahore had a Diwan in his possession, which was endorsed as the Diwan of Nawab Wazeer Khan. The takhallus was WAZEERI. He showed it to one scholar and the learned man found all the necessary details in it but attributed Nawab Wazeer Khan as having come from China. The word CHEEN was thought by him as China, he did not know that Chinoit itself is named after China, and was always referred as Little China. The other details were obvious. The Diwan has number of references related to Emperor, various Princes and Holy men. As well as rulers of the past, even Sultan Mahmood and Subuktageen. 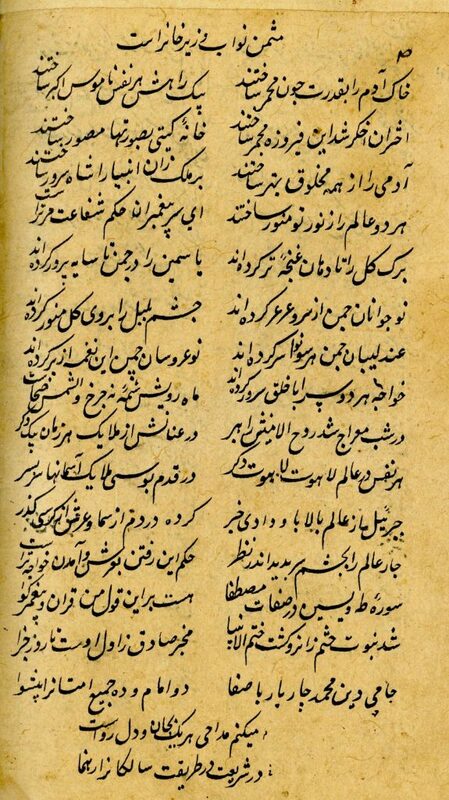 Qasidas on Emperor Akbar, Prince Saleem, Prince Murad and others. Shows the last days of Emperor Akbar. But lot of astrological references too. But it refers to him as a Hakeem too, as well as Nawab Wazeer Khan. Should be around 1000 AH. 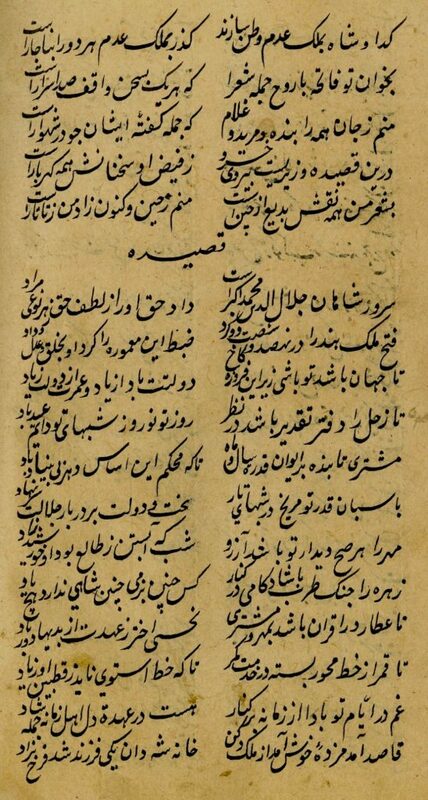 Normally copied version would be gold and naqashi illuminated but this is a plain copy on very thick paper. It can be studied on many points. The manuscript has various seals and various dates. Front page has a reference to Nadir Shah, so it is apparent that it was stolen from India by Nadir Shah and his troops. It also has many references to the family of IWAZ KHAN, whose family tree is given as being descendant of Sultan Mahmood Ghaznavi. There are references to it being donated by Habib ullah as Waqf in the 18th century. Bad condition repaired in the 19th century and bound fresh. Elegant handwriting with excellent ink, but notations of additions and subtractions show that it is an autograph copy. Because the sequences are broken at places and the hand writing is not of any calligrapher but a person directly involved in same. Many dates on first page of 18th century but the end erased and a new date written along with the name of a person. The new date is 1186 AH and purchased by Afsand Yar from Yar Muhammed for Rs 4 or so. 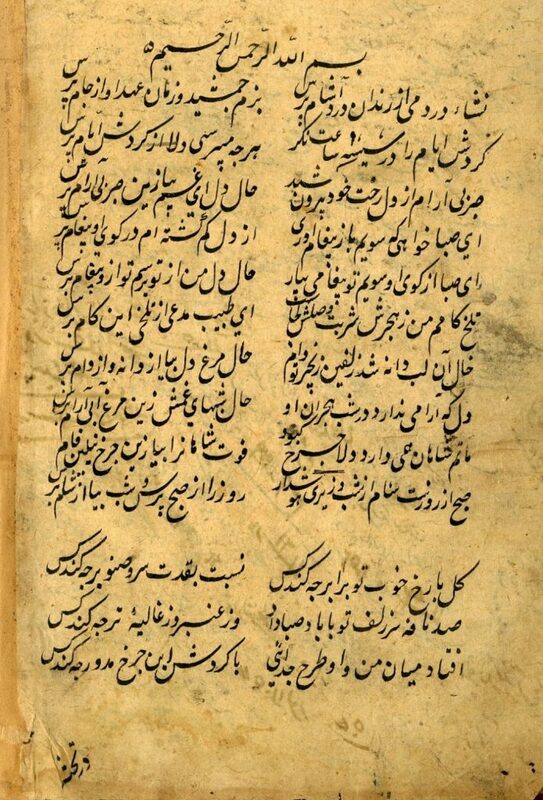 The scribe is given as Mir Abdur Rahman but this scribe does not look like the scribe of the manuscript. Mir Abdur Rahman was an exceptional calligrapher of his times but the writing on the erased place is not that of a famous calligrapher. Truth erased for some reason. The erasure is in different handwriting and can be clearly seen. The two erased lines have a portion missing too. One can clearly see ALI written at the start, which points to Ali uddin as his name. The mystery is always there in ancient texts. 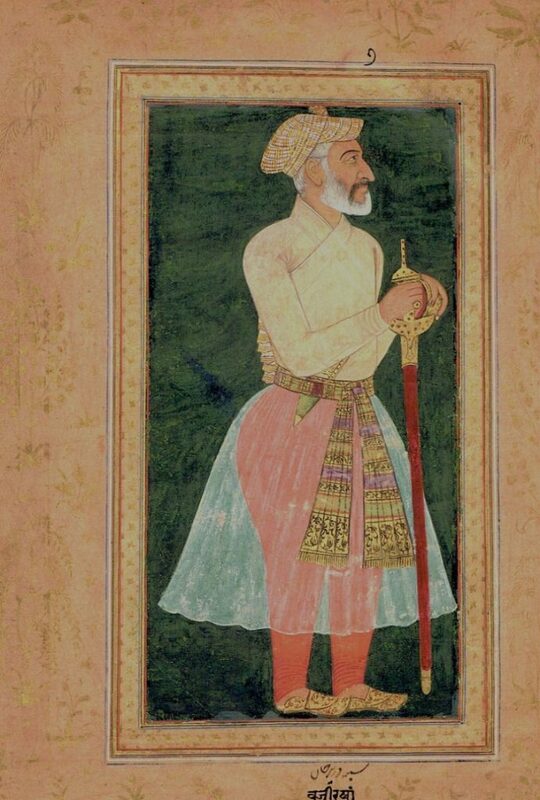 The Diwan of Nawab Wazeer Khan with takhallus WAZEERI is an unique manuscript. No other copy is known in the world. It includes information which can shed new light on our history. We hope somebody will study it in detail. Our archives exceptional with exceptional things.